In theory, we rest and recuperate on Saturday and Sunday. Le probleme is that the French- and many other cultures- do le week-end so much better than most Americans do. When we do have “time off”- which is often rare- we have the tendency to fill those extra hours with more scheduled time. Grocery store runs, hours at the gym, and quick coffee dates with friends end up dominating days off, or hours after work. For the most part, I love the ambition and drive of American culture. The problem is not that we are motivated to go to pilates class, or catch up with old roommates, or prepare an incredible three-course paleo dinner when we have the time to do so. The problem is that we schedule everything but the one thing that we probably need to do the most: rest. I realize that many of us have multiple jobs, children to take care of, and other obligations and responsibilities that make it seem nearly impossible to take a day off. It seems that life can’t be “paused.” Too much to do, too many people to see, too many obligations to meet. What if we reframed our perspective of rest as something that is as essential to our well-being as working, spending time with loved ones, even sleeping? What if we made time to do nothing- and refused to budge on that appointment? I think there’s a reason that taking a sabbath rest- a day without work- is obligatory in the Bible. God knows that in order to function well as human beings, we need time to refresh ourselves, to reprioritize, to think. A day of rest also signifies trust in your Creator- that you cannot and will not succeed fully in our own strength. Stopping your striving says this: my fulfillment, my identity, and my success are not found in my level of busyness. Wait up a minute. The Bible says that God was refreshed. I’m not sure God needs to do anything, let alone rest. But He did model rest for us, in the Creation of the world (whether you believe in literal Creation or not isn’t the important thing- it’s meant to show us a larger truth). I have the luxury of spending every Saturday as a day of total rest. I don’t have a family to take care of, so for me that means some serious rest (i.e. lots of naps, lots of reading, and lots of donuts). Whatever it may look like for you, try carving out some time in your schedule to be intentionally non-productive. 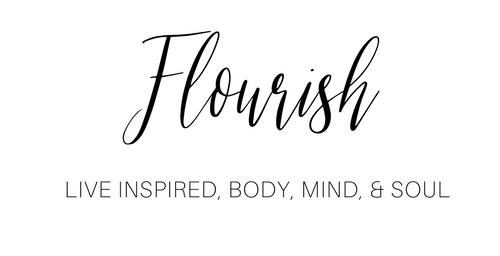 You might find, as I have, that the space you give yourself will ultimately allow you to succeed, to function, and to flourish more so because of it. Ultimately, your decision to do nothing will allow you to do so much more, and with more joy.